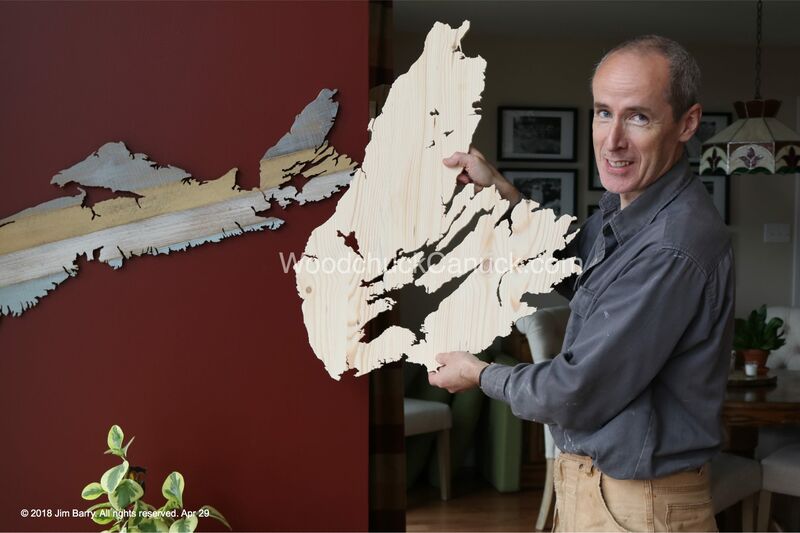 As I mentioned on Monday, we had a custom order for a large 24 x 32 inch wood map of Cape Breton. For those of you unfamiliar, it is an island joined to the mainland of Nova Scotia by a causeway. This is how all maps start out, especially the larger ones. 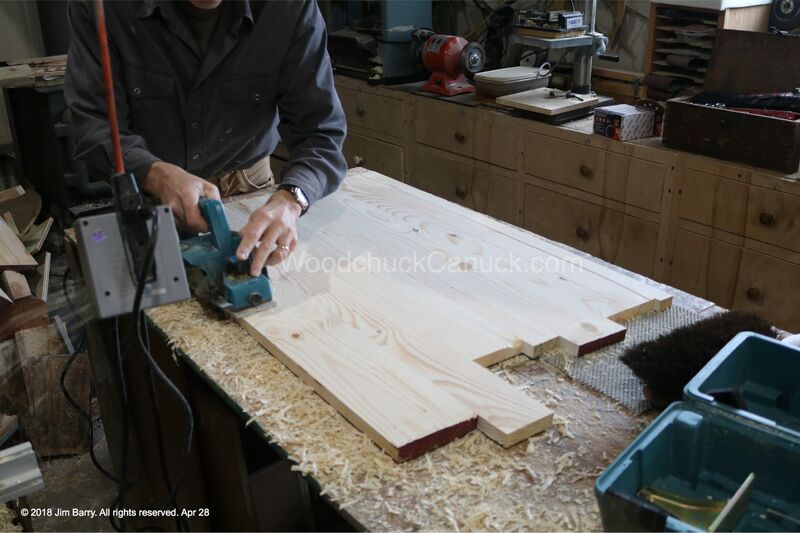 Jim gathered several boards together, planing and sanding each board before gluing them together. 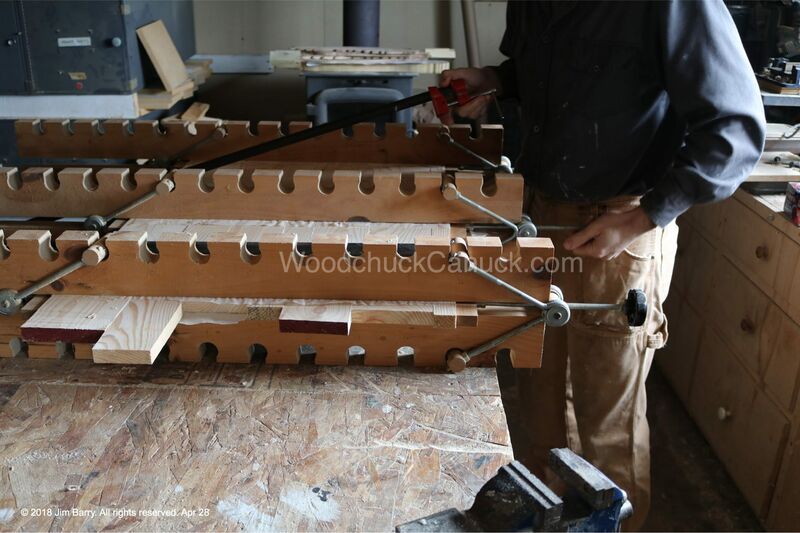 The clamps you see above were built by yours truly. No, not me. Jim built them in the 90’s. They work perfectly. After leaving the set up to dry for a few days, Jim headed out get started on the map. One of the things on our list (long list) of needs wants is a new planer. 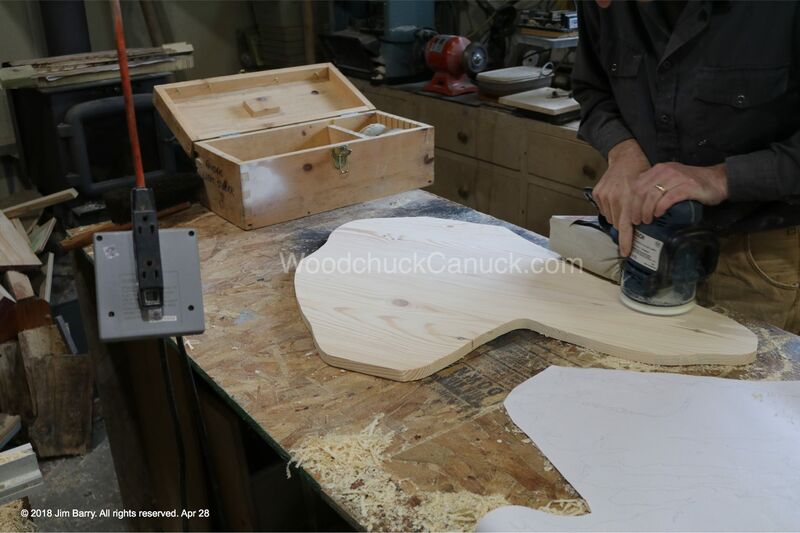 You see, the one we have now is perfect for smaller jobs, but when you get to projects of this size or even our live edge shelves, the planer is too narrow. Currently we are using a 12 inch planer, and are pining after a 20 inch planer. Dreaming is free. Back to the map…hand planing is good exercise. Who needs a new planer anyways? Then he gave it a final sanding before getting the scroll saw out. 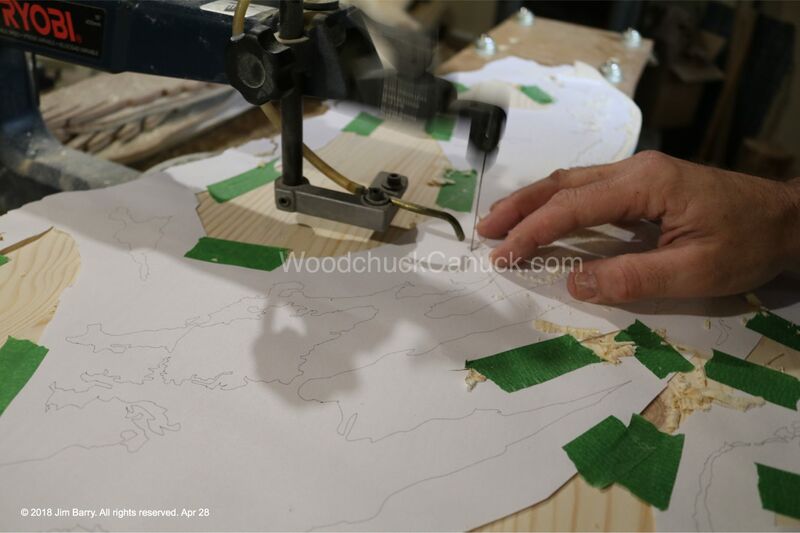 With the boards ready, Jim printed the map onto wide paper and taped the map to the wood. I believe this map is going to be used as the backdrop for a family tree. Here it is all finished. Jim is smiling… I think. Now to get it boxed up and hope the Canada Post workers are in a good mood and take it easy on our package.